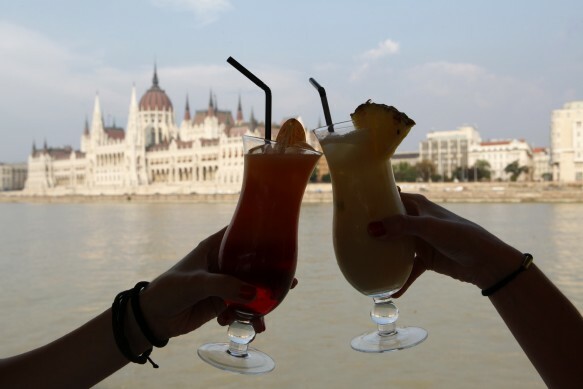 There’s no better way to explore the beauty of Budapest than cruising on the Danube while having a cold, refreshing drink! Our ’Cocktail & Beer Ship’ offers a unique experience with breathtaking views of the UNESCO World Heritage Sites of Budapest while you enjoy an ice cold Hungarian beer or a cocktail on our air-conditioned ship! We have non-alcoholic options available as well! The cruise lasts 1 hour 30 mins, and our bar is open for further cocktails and other beverages at a fair price!Enjoy an unforgettable afternoon cruise while discovering Budapest in a fun and relaxing way! Meeting point: Danube Palace (Duna Palota), 1051 Budapest, Zrínyi Street 5.